This is my 5th time ordering from this Thai restaurant. And they have never disappointed me. I've only done take out. The food always arrives still hot the food tastes amazing. I don't know who the chef is but it's always so flavorful Thai food is known for their high levels of complex flavors and they do it every time. I ordered the whole snapper with chili sauce which was Heavenly. And my boyfriend ordered the Drunken Noodles it was spicy but not too spicy just everything I wanted. My order was late however they called me to let me know that it would be late and apologize and I appreciated that. The delivery guy was so professional and nice. This is my go-to spot so glad the Bronx has a Thai place! I was hesitant to order delivery because of a few reviews on here, so I ordered and picked it up. I loved the food better than my usual Thai place, so I tried delivery. Both times the food came faster than expected. The order was right and the food was good. My only complaint would be the second time I had it delivered, the guy wouldn't get out of the car. I literally walked to his car to get the food. Otherwise, I'd order from them again. The food is always tasty and delivery is always on time (nice delivery people too!). Only negative is they never but enough condiments (red hot sauce). They only include one per order even though I order multiple meals. We love spice here and the tiny drop we get is disappointing. Other than that, they get 5 stars on their food and delivery. I want to say that I am a complete Thai food snob... If the flavor isn't there, the earthiness, and combustion, etc isn't there, you'd never get my compliment. That being said Tana Thai was amazing!!! The delivery man actually brought my food to my door. 5th floor (w/ elevator). That earned major Kudos bc most delivery people make me go down stairs, outside, and around the building to THEIR car. What kinda service is that?! Self serve? Having it brought to my door made me feel grateful and respected, especially after a long day of work & achy feet! It was nice to get help/deliciousness from Tana Thai. When I opened my door, the delivery guy bowed at me & thanked me. It was lovely to receive this service & if they treat every delivery as such respect, Mindfulness & level of care, they will be extremely successful. It's not often a delivery can have a snafu and still get a 5 star rating... but shrug. So they delivered the food - 20 minutes before the promised time. Called 5m ahead to figure out logistics, and were actually 5m away. Then they forgot to give me a bag w/the drinks. Oops. I get upstairs before I realize, but they quickly call me back and get me the drinks. The driver tried to return the tip, but shrug, we're still 10m ahead of promised time, so I wanted to hear nothing of it. Now the food? Good. Right amount of spice, plenty of chicken but a nice mix of veggies too. Coconut water had a nice presentation (plastic swords to get the coconut) and some really nice slices of coconut meat in it. So fast, good and well priced? I'll be ordering from here again. So let's be realistic here.... Where else is someone to get Thai food in the Bronx?! There is a Chinese restaurant close by that claims that they have pad thai, but honestly it doesn't really come close. Tana at least has the flavors correct. I wasn't expecting exceptional in an area where General Tso chicken, pizza and chicken combos with fried plantains and rice and beans rule the take out options. So looking at this place from that perspective... It's pretty good. My order was on time, complete, hot and flavorful; I plan on ordering from here again. Delivered 30 minutes before delivery estimate window shown in the app - on Christmas Eve! Food was still hot when it arrived and the delivery guy was super chill. Food was absolutely delicious, flavorful and hit the spot. Even the mild curry we ordered (massaman) had a nice bit of heat. Would definitely recommend the sesame chicken entree! Chicken is boneless, crunchy, with a delicious sweet/tangy sesame sauce on top. Dont forget a Thai iced tea! Delivery came almost 25 minutes before expected time! Phenomenal and unheard of although possibly a little inconvenient if you're running out to the store around the block thinking you have time! Food was tasty...but for such a fast delivery time it was not hot, tasted several Luke warm pieces of tofu in my pad noodles. Low spice. Decent quality. Tana Thai Restaurant use essential herbs and spices for cooking. The proper combination of entirely authentic Thai ingredients is an art form in Thailand, one that requires both skill and time. The preparation of a single sauce can take hours of grinding, tasting and delicate adjustment until the exact balance of flavors is archived. Only then, can the true glory of Thai cooking be fully appreciated. 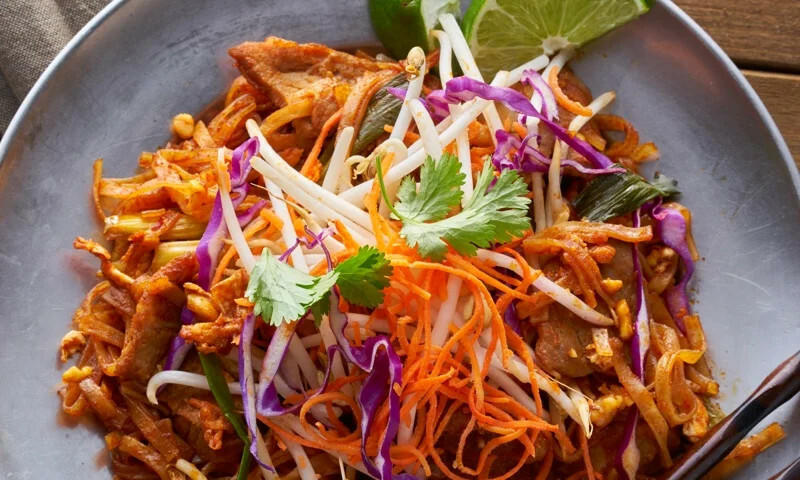 Whether you're craving a quick bite or looking to treat yourself to a delicious meal, you can now order your Tana Thai Restaurant favorites for takeout or delivery.